Miz TV returns tonight with the WWE Heavyweight Championship Tournament semifinalists as guests. Also, Roman Reigns will team with Dean Ambrose against the Intercontinental and United States Champions in a tag team clash. Charlotte will face Brie Bella. Miz will battle Cesaro. The Dudley Boyz and Neville will face Stardust and The Ascension. All this and more tonight on WWE SmackDown for Thursday, Nov. 19, 2015. 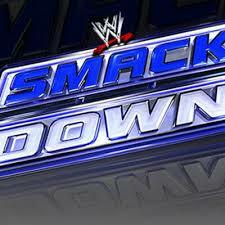 We will have live updates and video highlights of tonight’s SmackDown show coinciding with the SyFy broadcast at 8 p.m. ET (5 p.m. PT). * Miz TV segment to start the show. Miz goes to introduce the semifinalists but Kevin Owens interrupts. Then Alberto Del Rio interrupts, with Zeb Colter. Dean Ambrose is next. And finally Roman Reigns. … Then R-Truth interrupts. He has to be informed that he’s not even part of the tournament. He wishes Roman and Dean good luck and takes off. Ambrose ends up knocking Miz out to end the segment. * Cesaro vs. Miz — Cesaro submits Miz with a crossface. * The Ascension, Stardust vs. The Dudley Boyz, Neville — The Dudley’s finish Viktor with a 3-D.
* Tyler Breeze (with Summer Rae) vs. Zack Ryder — Dolph Ziggler is ringside having some foofoo drinks. Tyler pins Zack but gets flattened by Dolph after the match with a super kick. * Bray Wyatt gives a promo accompanied by Braun Strowman, Luke Harper and Erick Rowan. This evokes a response from Undertaker over the Titantron. * Charlotte vs. Brie Bella – After taking a running knee to the face, Charlotte strikes back and finishes Brie with a Figure-8 submission. * Kalisto vs. Big E — After some help from Xavier Woods and Kofi Kingston, Big E finishes Kalisto with a big Splash. He gives him another one after the match. Ryback comes to Kalisto’s aid and leaves a trail of New Day bodies. * Dean Ambrose, Roman Reigns vs. Kevin Owens, Alberto Del Rio — Del Rio throws Reigns into the steel steps and is disqualified. Del Rio and Owens try to beatdown Ambrose after the match but get worked by The Big Dog and The Lunatic Fringe.